That’s my son, 10 years old. Wow. It’s just crazy to think about how long that is. What were you doing 10 years ago? Had you met your spouse/partner/crush or pets/children/etc? Were you still in school? Living a life totally different from what you live now? Well, I was starting the coolest part of my life so far: the mommy part. 10 years have not blown by, by any means, but they certainly have not sucked either. We celebrated the tenth anniversary of Kiddo1’s birth in three ways: we had an overnight with a couple friends at this water park/resort hotel place, a small family outing on his actual birthday (a Wednesday) and, finally, a party with kids from his class at the neighborhood park (rain or shine!). He took two friends that he’s known since kindergarten (they go to the neighboring elementary school now) on this overnight to the indoor water park hotel. They had a great time, pretty much just swimming the entire time we were there, except for a couple hours in the arcade. This place had a wave pool, water slides and a little kiddie area, so Baby2 went swimming for the first time! Mr. Handsome and I took turns playing with Baby2 or riding the tubes with Kiddo1. It was a good time there, just over 24 hours, and I think everyone had fun. We were all pretty tired at the end! And, to hijack this post with some more cloth diaper stories, we again traveled with cloth and it was super easy. We do CD laundry about every 48 hours now, so we just brought the wet bag and it was all good. And, breastfeeding makes *everything* easier, for so many reasons. On Kiddo1’s actual birthday we brought treats for his class at the end of the day (note: if you let the kids pass out the treats, only give them the exact number they need. Because if you don’t then two kids end up with only one treat and everyone else gets two and that’s just, omg, the worst. And don’t get me started on the gluten-free kid. Sorry buddy.). 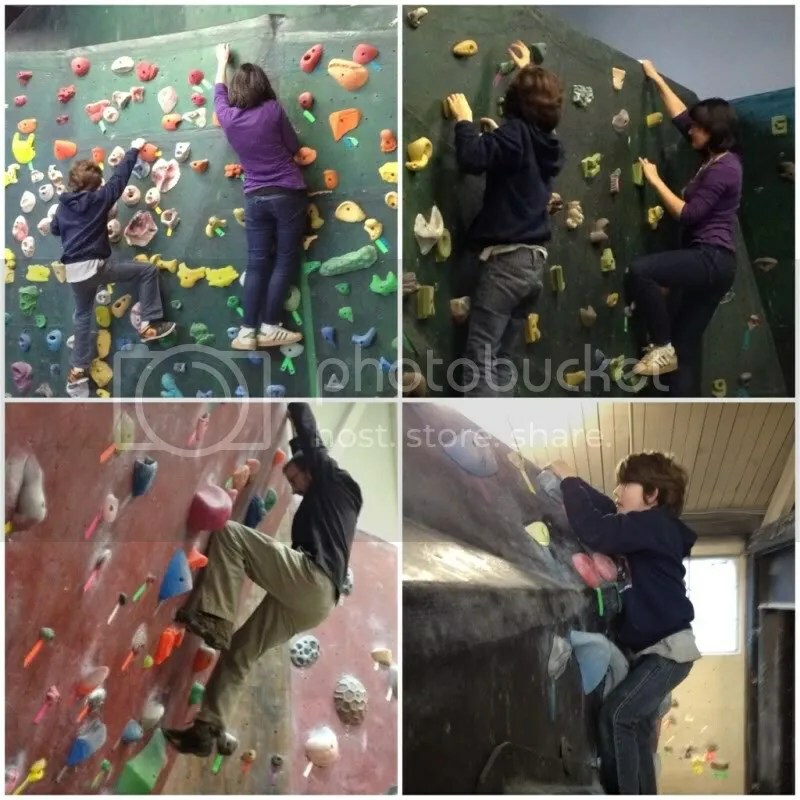 After school we took Kiddo1 to this bouldering gym to climb the walls. I thought he would enjoy being a monkey, plus he always needs to get some energy out, right? It was pretty fun, although toward the end we clearly needed to leave about 10 minutes before we did (he got tired, tired turned to frustrated, and the downward spiral kicks in from there) but before that things were great. We were quite sore for the next few days (well, I guess just Mr. Handsome and me, but whatever) but I think we’d all be willing to do it again. 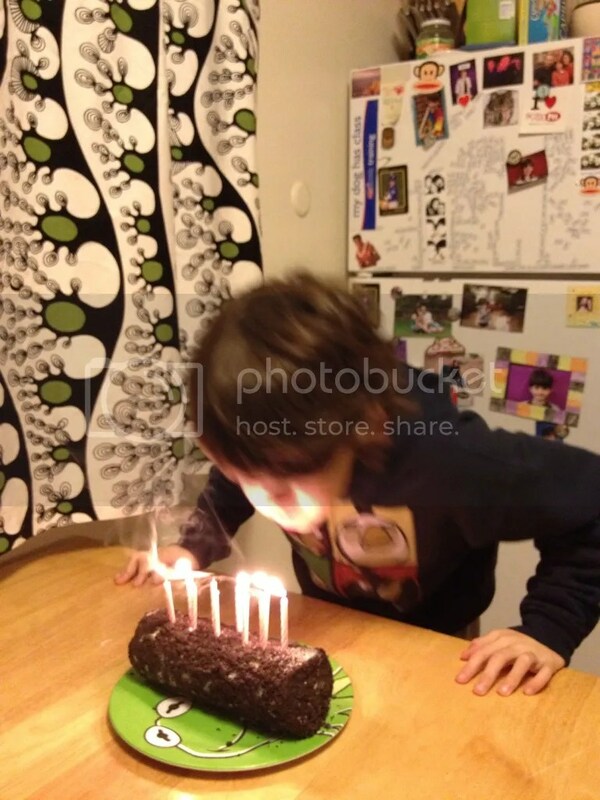 Especially if it was always followed by one of these Oreo ice cream log cake things. Mmmm. 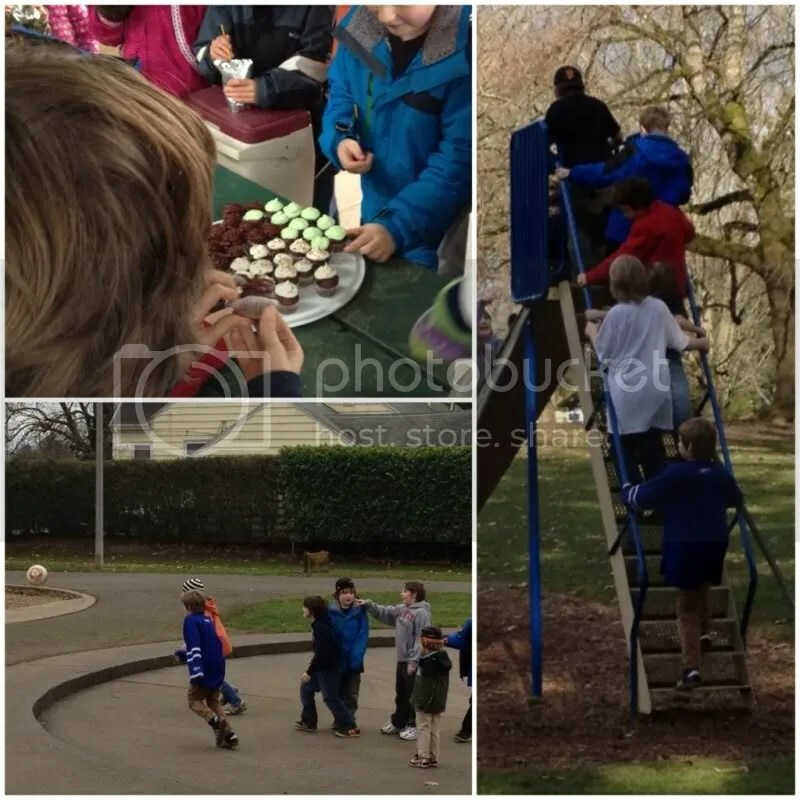 Finally, over the weekend he had a “park playdate” and invited his whole class. Luckily this cost me exactly $4.08 and that’s only because I bought the frosting along with the cake mix for the cupcakes I made (it’s like one step away from just buying the finished product from a bakery! Which I am too cheap to do!). Also lucky was that it didn’t rain so the kids could go full-on crazy. His class has like 18 boys and 5 girls or something, so there’s a lot of crazy energy with this group (the one or two girls that did come spent more time talking to the adults then playing with the boys!). So they ran, got hopped up on sugary mini cupcakes and had a good time. I call it a success. Kiddo1 said he had a good birthday, which is all that matters to me. And back to my earlier point: the past 10 years have not been a blink. They represent a third of my life, the best third but wow, still that’s a long time. I can’t believe how much our son, myself, our family has evolved in the past 10 years. I can’t even imagine where we’ll be in another 10. Where Kiddo1 will be in another 10. I hope he is pursuing his passions, whatever and however that might be. I hope he is still the same thoughtful, intelligent, wonderful boy that he has become. Posted in Birthday, Cloth Diapers and tagged activities, birthday, elementary school, school-age kid, traveling with cloth diapers. Bookmark the permalink. Yesterday was my 31st birthday and I celebrated by eating food. I mean, I can’t drink, I can’t stay out late (because I’m tired), I can’t really “party” in any way so I eat (yes, I would much rather be growing a baby than indulging in the vices, but still). So much for yesterday’s post about controlling myself because I fell off the wagon in a huge way yesterday. Okay, most of the food I ate was decently healthy, I guess. 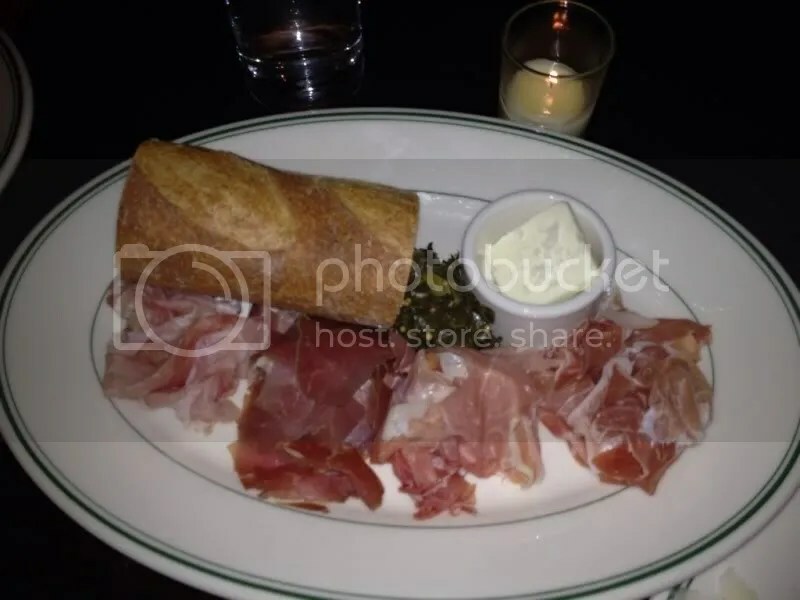 Wait, nope, now I’m remembering the morning and the late evening; the day was bookended by bad food choices. Well, excellent tasting food but oh so, so bad. I ate so much throughout the day that I suffered from indigestion. Twice. I never get indigestion, pregnant or not. Anyway, the day started out innocently enough. I went to Starbucks to use my free birthday drink coupon (I ordered my regular, a grande hot chocolate without whip cream because coffee is gross and mama tells me I’m sweet enough already) and I threw in some coffee cake because, hey, it’s my birthday! I drank the cocoa in my way in and saved the coffee cake for desk time. Then, I get to work. We were having a pot luck at work for my birthday (and because we’ll take any excuse to have a pot luck, of course). 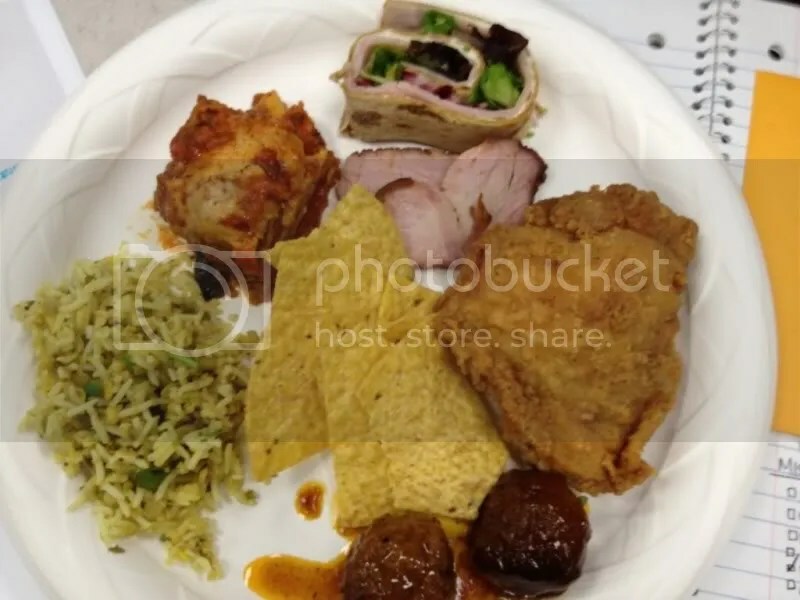 Sometimes people bring in breakfast items instead because it breaks up the day and then we don’t have quite the overwhelming selection to sample from come lunch hour. So I had a donut from the local grocery store. The coffee cake got put on hold. Then someone arrives with the best donuts in town, the ones that we’re practically famous for. Well, I couldn’t say no to those, especially because she drove halfway across town, in morning rush hour, to get them. Two donuts down now. Still no coffee cake. There’s eggplant parm (which was amazing – apparently eggplant is really freaking good if smothered in breadcrumbs and mozzarella), fried chicken, taco dip (under the chips), I made the sandwich swirl thing there, I could go on and on with the yumminess. No veggies (other than the eggplant?) but there were lentils in the rice! My friend brought oreo cupcakes, swoon, another friend brought me a delicious brownie, there were cookies all over the place (the only thing I was able to hold myself back from, so go me). I ate and ate. I suffered through my indigestion in my afternoon meetings (or was it the meetings that made me suffer? Ha! No, it was the indigestion). During one conference call I managed to finally scarf down the coffee cake. I finally make it home later that afternoon after picking up Kiddo1 who, I have to say, was acting a bit weird. Something was up. We walk in and there’s Mr. Handsome (who normal works Friday nights) with roses and dinner reservations. Aw, I’m spoiled. We dropped Kiddo1 off at a friend’s house (we later took that same friend home for a sleepover – this is a decent trade, I think) and headed off to a new neighborhood joint for more food. This place is a couple neighborhoods away which is awesome. It’s very new, only four months old, but has received rave reviews (which is a good sign when you live in a foodie town). The atmosphere I can only describe as Pacific Northwest and hipster (wait, are those the same things now?). Rustic-cool. It was nice! From left to right we have ham from Tennessee, Kentucky, North Carolina and Iowa (the Iowa one coincidentally came from the same town where my best friend from college lives). Oh goodness they were heavenly. Mmmm ham. That not being quite enough for the day, though, Mr. Handsome took me for some Ben & Jerry’s so I could get my new top-flavor of ice cream, Chocolate Fudge Brownie (because stupid Baskin Robins discontinued the Chocolate Fudge flavor and I am boycotting them, as I mentioned in a previous post. It was super not cool of them to do this as I’ve enjoyed that flavor for as long as I can remember. But to make matters worse the dude at the store tries to tell me that the new Superfudge Chocolate is the same. Well it isn’t. There’s like chunks of stuff in there. There were no chunks in the smooth, chocolatey deliciousness that was Chocolate Fudge. Grrr). We picked up the kids for the sleepover and I went to nurse my second round of indigestion for the day from my couch. Oh my geez it hurt so bad it made my back hurt. No more marathon eating sessions. And this time I mean it! Finally, later on in the evening, after we’ve settled in to bed, Kiddo1 comes in to tell us that he has his first loose tooth. Yes, he is nine years old and finally, FINALLY, he is about to lose a tooth. Time for another dentist appointment (last time the x-rays showed the teeth under his gums just waiting to pop through and the dentist said it was nothing to worry about but I’m still like, um, he’s nine. WHEN ARE THE TEETH COMING OUT?). So now I’m 31, my tummy feels better, my child is still growing (both the ex- and in-utero ones) and I’m off for a snack. Posted in Uncategorized and tagged birthday, chocolate, cravings, nutrition. Bookmark the permalink. Week 20, “the halfway point,” is here! Earlier this week, while talking to a co-worker, I referred to this time as the “golden period” in pregnancy. Think about it: you’re not too big yet but big enough to for others to safely assume you’re pregnant, the baby moves around and you can feel it, lame symptoms have pretty much subsided, energy levels are high, the “worries of birth” are not yet threatening, I mean, it’s a pretty great time. This week baby is about 6-1/2 inches long which is the approximate height of a standard birthday hat. 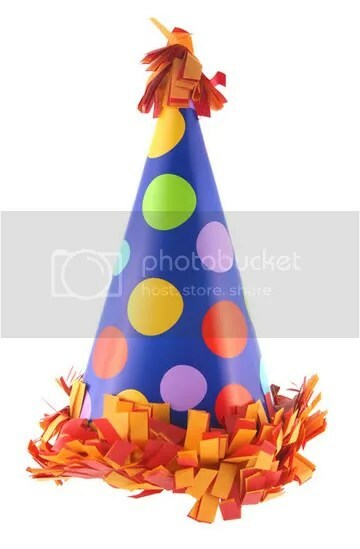 Why did I pick a birthday hat this week? Because today is my 31st birthday! Yay! I love birthdays, and the past couple years they’ve been especially great because I’ve discovered all the free stuff you can get around your birthday if you sign up. I get a free entree at Noodles & Co, a local pasta place, Benihana’s, a free drink at Starbucks, goodies at Sephora and a free scoop of ice cream at Baskin Robins (although I’m boycotting them since they discontinued my favorite flavor, Chocolate Fudge. I nearly cried). There’s way more free stuff out there, you just have to search the web for it. I love all the free birthday stuff, but this week and from now on, really, I’m trying to be a bit more careful about what I’m eating. Super Bowl Sunday fatty foods plus Valentine’s day candy was a bad combination for my weight gain the last couple weeks. I gained five pounds pretty quickly there. This week I’ve been better and my weight reflects that (see below). I’ve always been a bad vegetable eater. I thought maybe, just maybe, I could will myself into craving super healthy foods during this pregnancy. Well, no such luck. I am capable of eating a vegetable a day (or so) so that is the goal. I tend to lean toward the green leafies (I love spinach) or “green stringies” such as asparagus and green beans. I like carrots, too. Today at work we’re having a pot luck and someone is bringing eggplant parmigiana so I’m excited to finally try eggplant! I’m also trying really, really hard to limit my chocolate/sweets intake. I’m craving chocolate like no other now, though, so I still allow myself a little bit every day, but only one thing! So if I indulge at work and have some dark chocolate pieces, I can’t have ice cream that night. So far it is working pretty well (it’ll work a lot better once we get these girl scout cookies gone!). So yeah, happy healthy birthday to me! Today we’re not doing much but tomorrow I have a haircut and I might stop to get a pedicure on the way back home. I might do some shopping around to get a picture framed for the nursery too. Monday we’re going out to dinner at Mr. Handsome’s restaurant which I’m so excited about. They do a prix fixe menu twith a twist and literally bring you every item on the dinner menu (it is a small menu, but all their food is delightful!). I’m getting ready to eat a lot of great (and mostly healthy!) food. Total weight gain: 15 pounds. Woohoo only one pound gained this week! I’m back on track! Cravings: Lots of chocolate, but also pasta, of course. I’m not really craving anything out of the ordinary this week. I mean, I’ve always wanted chocolate and pasta! Coolest symptom: Woohoo more kicking! Sometimes I even feel it in the day now, when I’m not lying completely still! It’s awesome to feel the baby move and know that things are still going on in there. Lamest symptom: You know, I’m really feeling pretty great this week! Headaches are pretty much gone, stabbing abdomen/round ligament pain has mostly subsided (I’m drinking lots of water!) and my back hasn’t been bothering me TOO much (but still a bit here and there). It really is the “golden period” right now! Exercise this week: The goal is 210 minutes per week (that’s an average of 30 minutes per day). This week the count is a little odd because I’m sorta counting the class field trip I chaperoned – we did about three hours of walking downtown, seeing the sights. I’m also counting another rigorous vacuuming session. Those two things together are about four hours, but I’m only counting 90 minutes of field trip and 30 minutes of vacuuming because counting more than than just seems unfair for some reason. Yoga and arm exercises rounded out the week for a total of 215! Yay! Your baby weighs about 10 1/2 ounces now. He or she is around 6 1/2 inches long from head to bottom and about 10 inches from head to heel – the length of a banana. (For the first 20 weeks, when a baby’s legs are curled up against his or her torso and hard to measure, measurements are taken “crown to rump” – from the top of the head to your baby’s bottom. After 20 weeks, your baby’s measured from head to toe.) Your baby is swallowing more these days, which is good practice for the digestive system. He or she is also producing meconium, a black, sticky by-product of digestion. This gooey substance will accumulate in your baby’s bowels, and you’ll see it in that first soiled diaper. (Some babies pass meconium in the womb or during delivery). Posted in Weekly Update and tagged birthday, chocolate, cravings, energy, exercise, fetal development, symptoms, weekly update, yoga. Bookmark the permalink. 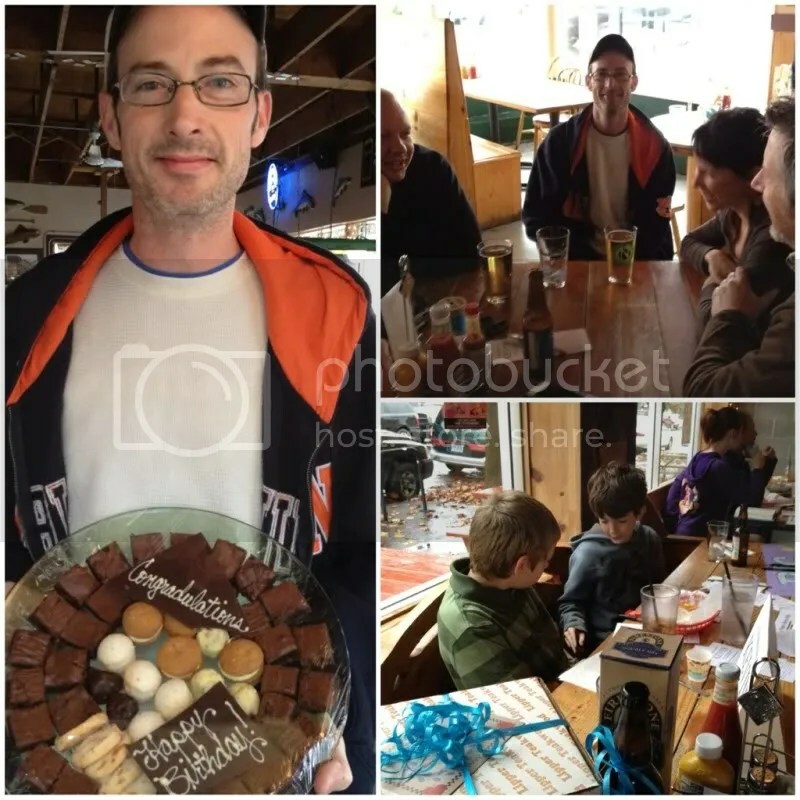 This past weekend we had a birthday outing for Kiddo1’s ninth birthday. Usually we do a big party with all the kids in the class. Birthdays are a big deal to us! Up until last year we had everyone at our house and partied in the basement (concrete floors are easier to clean the cake off than carpet!). Then last year we finally broke down and invited everyone out to one of those inflatable bouncing centers. At eight, he was a getting a little old for that I guess, but his friends were all so high-energy that we needed a place where they could really go crazy. While Kiddo1’s friends are high-energy, he really is not. He’ll run and play with them all day long if they’re doing it, but he’s not one to instigate. He’s been asking us to have a movie party for a few years now but we knew his friends couldn’t handle it. Well now that his friends are a little older and are able to control themselves a little better (as long as you pick the right ones, that is! ), we decided we’d give a movie party a go. Also, since we got the new car, we could take five extra kids with us and actually get them all to the theater. So we did it! We took six third graders to the movies, followed by pizza in the mall food court and ice cream at Ben & Jerry’s (we had a Groupon!). Kiddo1 had a great time and finally got the movie party he’d always wanted. When compared to the $250+ that a “play place” party costs, this movie option was cheaper, even to see a 3D film (Journey 2 The Mysterious Island). We went to the first showing of the day so tickets were only $9.75 each (only is a relative term I guess). Then a pizza at Sbarro was less than $20 (including a salad for Mr. Handsome and me). The ice cream was only $15 for all including the price of the Groupon. All total it was about $115. If you count the ice cream cake we got on his actual birthday we still spent less than half of what last year cost us. Even hosting the party at home isn’t as cheap when you consider all the decorations, food, cake, beer (well the parents hang out and, you know, it might as well be a party for them too). Plus, this option was super easy for us. No need to clean the house (twice), no cake to bake, games to plan, decorations to hang, etc. No waiting on anyone to arrive or leave because we picked up and dropped off everyone ourselves (which was great because we got a few minutes to touch-base with all the parents too). No stress! Yay! Happy birthday Kiddo1! We’re glad you had fun with your friends! Posted in Activities and tagged birthday, minivan. Bookmark the permalink.